My friend Gigi loved JD's birthday party favors and tags; so, for her son's 1st birthday party (Lakers theme) she was interested in purchasing gumball machines and wanted me to make her tags too. 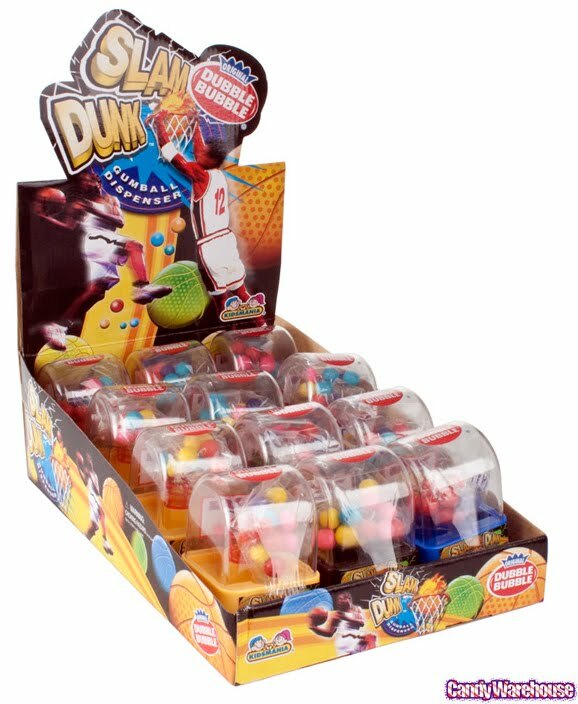 After months of searching for gumball machines (for JD's party), I knew exactly what she needed; these adorable Slam Dunk Basketball Gumball Dispensers from the Candy Warehouse. voila “Basketball Themed Party Favors”! Thanks for sharing. About to check out the candy warehouse for my little one's baseball party coming up soon. They have some really cute baseball gumball machines too!